Doctor Who rarely calls the invading forces as villains. The Doctor’s love for all creatures, with the possible exception of the Daleks, leads the top television show’s writers and producers to call the nemeses as simply aliens. 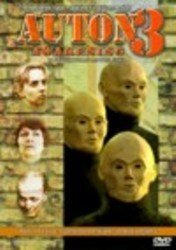 The first alien that viewers met in the reemerged television series was the Nestene Consciousness and its Autons. To help viewers who had never seen episodes with Tom Baker or other Doctors, the below explanations describe what viewers need to know about the first alien who came head-to-head with the ninth Doctor. What is the Nestene Consciousness? Originally having a body with multi-tentacles, but now existing in a disembodied form, this invasive alien was able to manipulate plastic to form Autons. It originally met the third Doctor when it fled the Time War, the war that destroyed the Doctor’s home planet along with several other populated planets. Several ties existed between it and the Shadow Proclamation. In the episode “Rose,” the Nestene Consciousness came to invade Earth after it had taken on a liquid-plastic form. This was not the first time it had attempted to invade Earth. However, during this time, the disembodied entity met the ninth Doctor. Thanks to this Doctor’s bold front and Rose’s cunning maneuvers, it died at the hands of an antiplastic. The invasive alien brought shop dummies to life and called them Autons. Energy blasters existed in their right hands and were used for massacres as seen in the episode “Rose,” which took place in the shopping arcade. Any plastic could come to life, including garbage bins. Autons could be made of real people, as well. If wishing to trick the Doctor, the Nestene Consciousness would create a plastic version of these people, while keeping the real people alive. In the first episode with the ninth Doctor, this upset Rose when she thought she had lost her boyfriend after seeing his Auton version. A whole tale is yet to be told about the eleventh Doctor, the invasive alien, and its living plastic mannequins. To tell viewers now about the great plot twist would be a crime. Come along as this article series continues to watch the renewed program to see how this alien increases the love between two of the Doctor’s companions and puts together some of the mystery behind Doctor Who. Nearly every episode of this famed television series introduces a new or old alien or robot. Continuing to watch the show will show more about Daleks, Cyborgs, Weeping Angels, Silence, and many more. Hopefully, viewers will keep their interest alive in aliens as the show progresses and readers will join the in-depth analysis. Jason Loborik, Annabel Gibson, and Moray Laing Doctor Who Character Encyclopedia. London: DK Publishing, 2013. Gary Russell Doctor Who Encyclopedia. London: BBC Books, 2011.